Held in Moscow, Jan. 24-27, Upakovka/Upak Italia 2012 (www.bit.ly/pwe00398), International Trade Fair Packaging Machinery, Packaging Production and Packaging Material, reflected the recovery of Russian packaging and the important role of packaging in the Russian market in general. About 20,000 trade visitors from Russia and neighboring countries attended Upakovka/Upak Italia 2012 for an overview of the latest developments in this field presented by over 300 exhibitors from 22 countries, and to visit the concurrently held Interplastica 2012, International Trade Fair for Plastics & Rubber. The events were jointly organized by Messe Düsseldorf, and its Russian subsidiary Messe Düsseldorf Moscow and Centrexpo (Upakovka/Upak Italia 2012 only). “This was the 20th time that Upakovka/Upak Italia took place in Moscow and it has become the leading platform for a dynamic industry. The trade visitors know that there is no other event in Russia where they can get such a complete overview of what is available internationally and where they will get the opportunity to experience innovative systems in operation. Anyone investing in the Russian packaging industry comes to Upakovka/Upak Italia first to gather information,” says Erhard Wienkamp, division director of Messe Düsseldorf. Dr. Guido Corbella, CEO of Centrexpo, adds: “Exhibitors come here to present top-class technology, because they know that Upakovka/Upak Italia is the place to meet the right customers for their products and services. Participating in this trade fair is still the best way to establish or build on business relationships in Russia—in a market companies still view as very promising, which is why the number of Italian exhibitors has remained stable, despite the fact that, for the first time ever, we didn’t receive any government support, following the temporary dissolution of the Italian Institute for Foreign Trade. 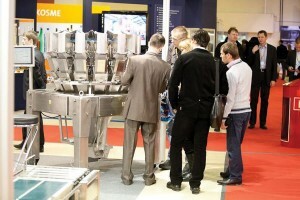 The largest exhibitor contingents at the 2012 event were from Russia, Germany, and Italy. 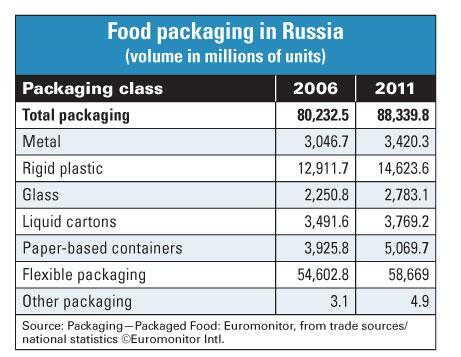 The trade relationship, in particular between German machinery manufacturers and the Russian packaging market, has existed for a long time. Almost 50% of all packaging machinery and two thirds of all confectionery machinery is made in Germany, with the majority of brewing equipment also coming from Germany. 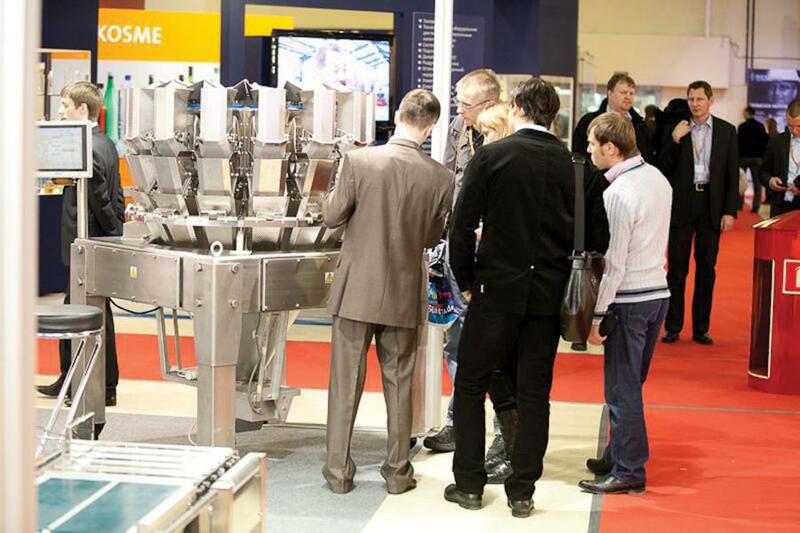 Alexander Puzikov, president of the Russian packaging machinery association Packmash, was pleased with the products on display by Russian exhibitors: “The packaging machinery sector is still in its infancy in our country, with most of the companies having been founded in the 1990s. 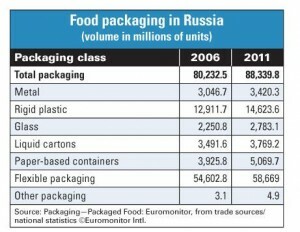 Domestic participation in Upakovka/Upak Italia has increased significantly and the progress that the products have made is impossible to overlook.” Alexander Boiko, president of the National Confederation of Packagers of Russia NKPak, also expects the growth in Russian packaging to continue: “The trend has definitely been reversed since the recent crisis when cutbacks were also made concerning packaging. A press release from Upakovka/Upak Italia via Messe Düsseldorf notes, “Russia is one of the top 20 consumer goods markets worldwide, and with about 143 million consumers, it is an important market, especially for the food and beverage industry. Domestic consumption benefits from the fact that the middle class is growing steadily and the population’s consumption patterns and consumer habits are changing noticeably. “There is evidence of a marked change in direction, in particular when it comes to food and beverages, with processed and packaged food as well as convenience products gaining increasing popularity. Demand for such products is also on the increase due to the continued spread of super- and hypermarkets, which are now gradually becoming established in medium-sized towns.